Welcome to Fineline Automotive! 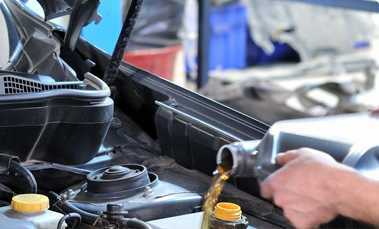 As a leading auto repair facility in Knoxfield, we are the best source for all your car service needs. To keep your vehicle running properly at all times, we provide a full suite of services that are carried out by our expert, certified mechanics who have immense experience in performing everything from simple tune up and oil changes to a complete engine diagnosis and overhaul. We care about your safety and provide efficient services at unbeatable prices. Our mechanics use high-tech diagnostic equipment to guarantee that your vehicle is serviced or repaired right the first time around. When we work on your vehicle, we only use the highest quality replacement parts, components, oils and filters to ensure your safety, and maintain the integrity and value of your vehicle. At Fineline Automotive, we feel that serving you with honesty and reliability is more than just important. We bring our skills and go that extra mile to provide you with professional services. 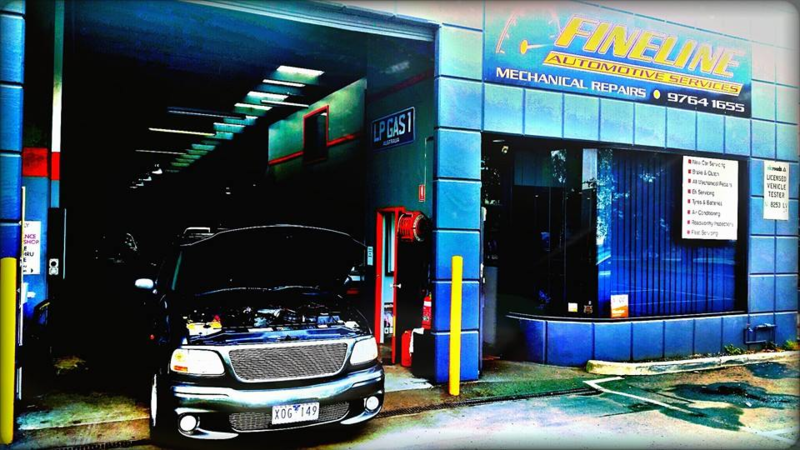 If you would like to speak with our mechanic about any car issue, feel free to call us at 03 9764 1655. As a car service workshop with long experience in the industry, Fineline Automotive Services carries out fixed price car maintenance. 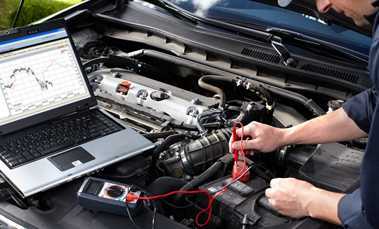 You need log book servicing for your car? 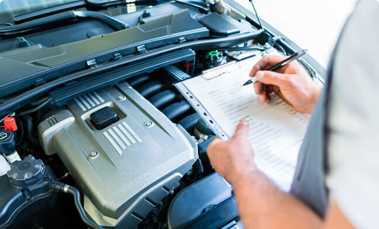 You are not obligated to perform your log book servicing at an expensive dealership. Have peace of mind when purchasing your next car , we can help out with advice and we can perform a 150 point pre purchase. Fineline Automotive is a family owned and run business for over 25 years. At Fineline Automotive we provide high quality customer service and superior workmanship, ensuring our customers receive the very best in automotive care. Also undertaking servicing and repairs as well as having the latest diagnostic equipment in order to provide you with excellent and precise diagnosis of your vehicle that you can rely on. Our mechanics are qualified technicians who are highly trained and excel at keeping your vehicle in its best condition. We use only quality car components and parts, and we don’t go ahead with any work unless we have authorisation from you first. This is hands down the best mechanic in the area. Have been going there for years, and my last service saved me a lot of money due to the guys working out an issue. Great to see a well ran family business providing such a good service in this day and age where many others cut corners. The team at Fineline always keep me updated throughout the process, and my car is running like new. Highly recommend you take your vehicle there for any issues at all. Genuine family business that have always done an amazing job. Issues are well communicated with a clear explanation on what needs to be done for the car to be back on the road. These guys treat your car as if it’s their own and really take pride in their work. Recommend to anyone who wants a quality job done with service that goes the extra mile! Great service from Ben who communicated well with my husband who has previously been eleswhere . Ben kept him ‘in the loop with all his needs and questions. Will definitely recommend him to family and friends. Great to see honest people still out there. Great mechanics! Efficient and hassle free service. These guys really know their stuff. Friendly staff that do an excellent job. Happy to pay that little bit more for the professional service they provide. Don’t go there they are fraudulent. I was charged $1060 for road worthy…1 month later I was dumb enough to go back cause my car would stall in drive… they called me saying 600 dollars to fix a hole in my exhaust and cleaning my catalytic converter… They didn’t want me to take the car back, finally Took the car to Dandenong n turns out a pipe wasn’t connected and fixed it for $50. It had nothing to do with exhaust! I believe they disconnected the pipe so I go back n that’s what my mechanic said in Dandenong too. They robb customers in broad daylight!!! My Nissan Pulsar was serviced by Daryl and his team yesterday and l feel like l am driving a new car! It’s 13 years old and the steering has never felt better. Thanks to everyone at Fineline Knoxfield, including Sandy at reception. I appreciate the professional service l received. We are licensed to perform roadworthy’s by Vicroads. Fineline Automotive is also a VACC Accredited Automobile Repairer which means that we are committed to maintaining a very high standard of quality.